Summer isn't always just a walk in the park for pets. Skyrocketing temperatures can make the world a harsh place for our animals, especially for dogs, who can be very sensitive to the heat. 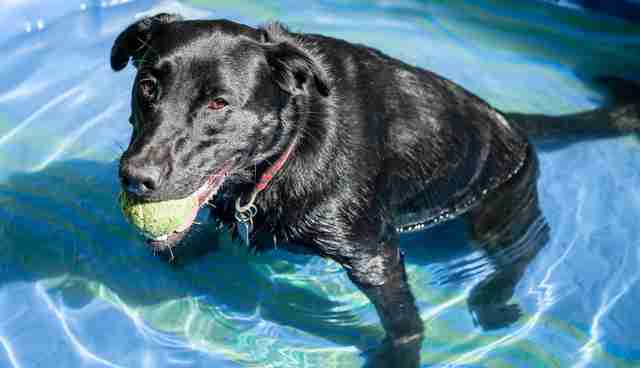 Because dogs don't have the convenient (smelly) sweating mechanism that humans do to stay cool, overheating can happen suddenly for them - and it can be deadly. Luckily, there are some key signs of dog overheating to watch out for when taking your pup out of the A/C. 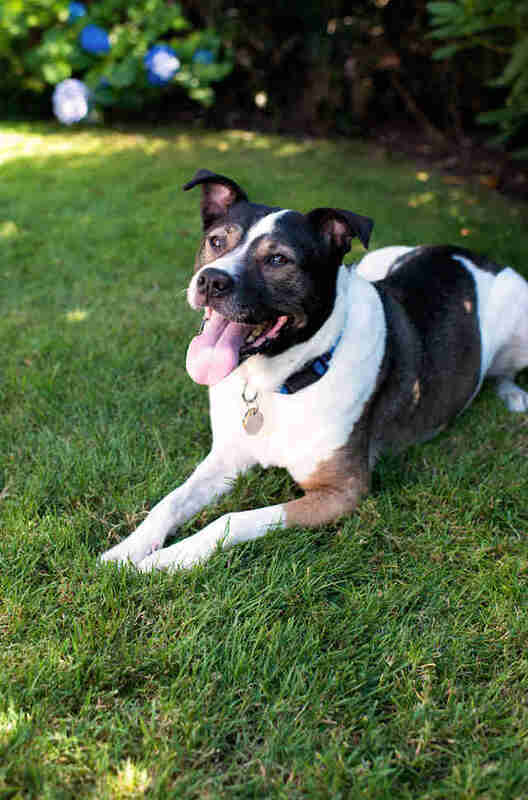 Catching overheating early could literally save your dog's life. Being careful not to overexert your dog when enjoying the day. Making sure your dog has a shady spot where he can rest. 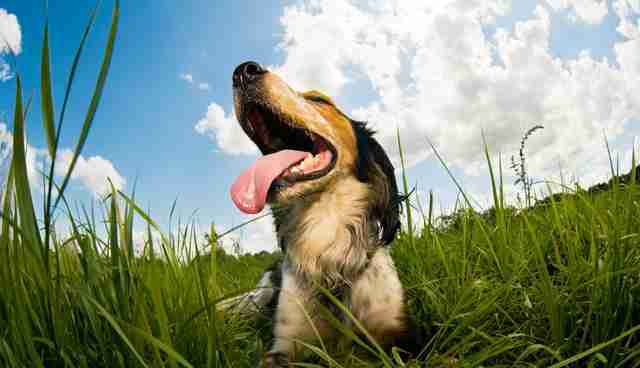 Having a lot of drinking water handy if your dog shows any of the above signs of overheating or overexertion. Putting cloths soaked in cold water around his paws, in his armpits and on his head and neck, as one veterinarian suggests. Also, don't assume that just because your dog is near a body of water that he can't get overheated. And always watch him if he's swimming - not all dogs are great at doggy paddling. And never, EVER leave your dog in the car. Even with windows open, cars heat up fast. In 80 degree weather, cars can heat up to 110 degrees in only 15 minutes. If you think your dog is in danger of overheating, it is always good to go to the vet. If your dog loses consciousness, hurry to the animal hospital ASAP. Everyone wants to enjoy the warm weather and sunshine. 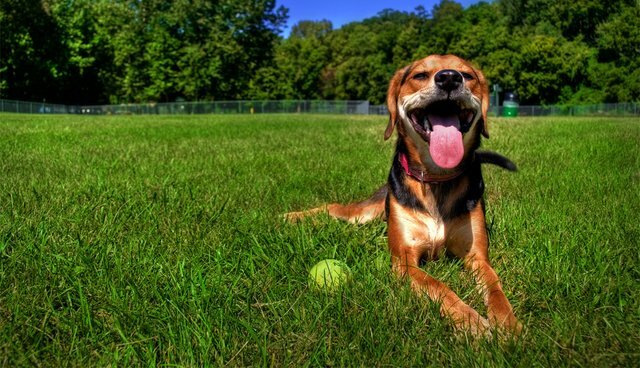 And with some preparation, you and your dog can have a great time this summer. 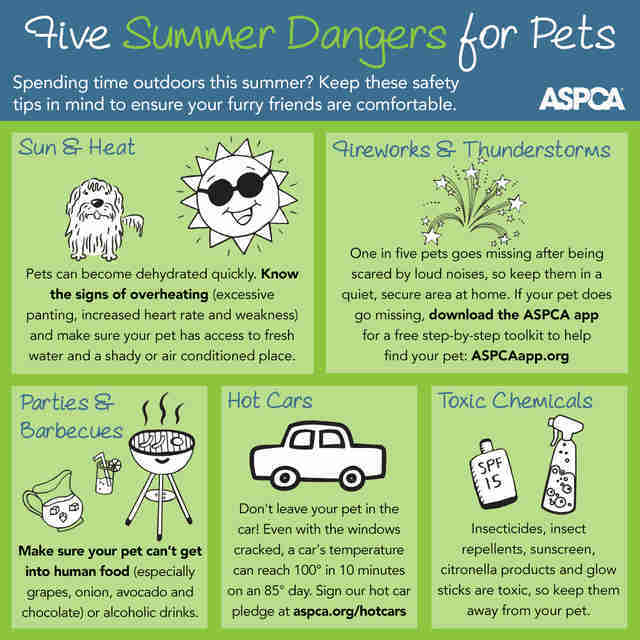 Check out these summer safety tips for pets from the ASPCA.